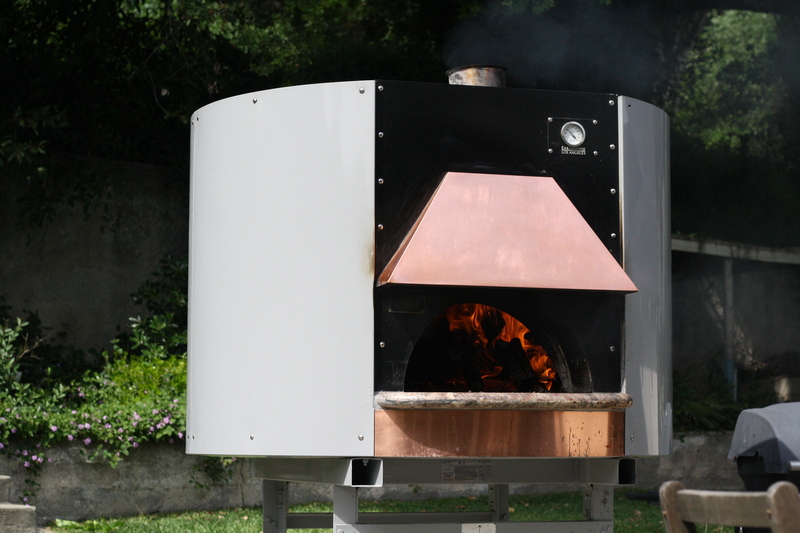 Ever since my first trip to Italy in 2003 I have wanted to work with a wood burning oven. 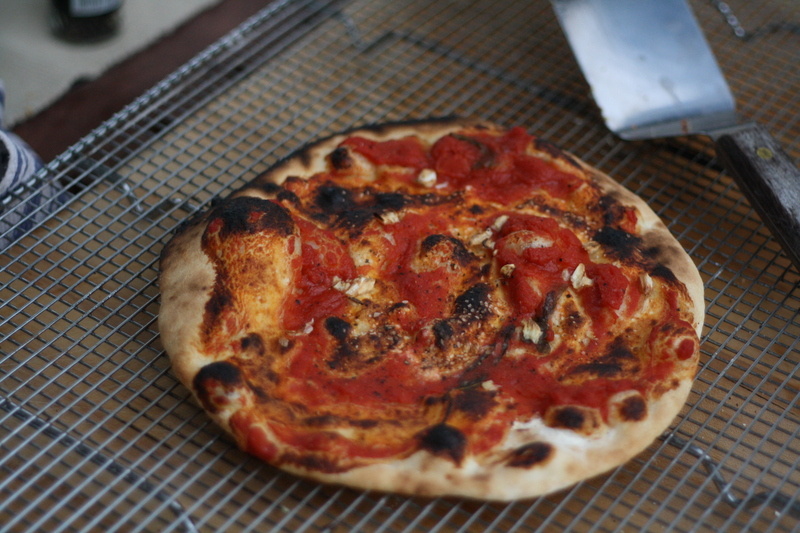 I love the way everything cooks in a wood oven. I love the charred spots on pizza. I love the way bread develops a crispy crust. I love the deep golden color of the bread. I love the flavor that the wood imparts on meat roasted in a wood oven. Enough said. I could go on forever talking about food and wood ovens. This desire to work with a wood oven has taken on a life of it’s own leading to a craving to open my own restaurant with a wood burning oven as the centerpiece. Luckily I was presented with an opportunity to buy a used wood oven from a restaurateur who decided that his Indian menu had no need for wood. The oven weighs 3500 pounds and sits on a stainless still rack. The cement oven is hidden by a metal cylinder. There is a little smoke stack on top that gives a hint that this thing is an oven, but if you happen to look at it from behind you would have thought I might have gotten it off the set of Star Wars. To get this oven I had to pay a glass company to remove a 6 by 6 foot pane of glass so that the moving company could reach their forklift through the window to retrieve it. It was then loaded on a massive truck and transported to my house where I had to dismantle a creaking old fence so that the oven could be lifted onto the patio. There it sits in all it’s glory. Beaming. My wife named it the Spaceship. She set one flower pot next to it to soften some of the stark uniqueness that this new addition has added to our oasis in the backyard. With all that said it sure does make a mean Pizza. You are all welcome to stop by for some pizza pie.